SATURDAY BROUGHT interesting results, from all around the province, as polls closed at 8 p.m. on municipal and school board elections. For starters, Saturday’s civic election had numerous notable moments, including in the City of Nanaimo, where former NDP MLA Leonard Krog will soon take over as mayor. That leaves the provincial riding open, and … it also means B.C. Premier John Horgan will need to call a by-election. Given his NDP razor thin majority in the legislature, only due to being propped up by Andrew Weaver’s Green Party, that is not a riding he’ll want to even consider the possibility of losing. Look for a star candidate to be on the ballot. Also, on Vancouver Island, former North Cowichan City councillor Al Siebring decided to take a run at the mayor’s chair which was being held by Jon Lefebure, who had 16 years of public service in the District of North Cowichan. At the end of vote counting he had won the election … and it was close! Across the water, in the City of Vancouver, it should be noted that Kennedy Stewart IS NOT the first Independent mayor in decades. How can that be said with all of the union paid full-time staffers on his campaign? His campaign was bolstered by untold numbers of union supporters, as well as four members of Vancouver and District Labour Council unions. They continued to collect their union salaries while pretty much working full-time to support Stewart’s campaign. The ballot may not have recognized him as being a party candidate, but NDP and unions are the parties that supported him. Crossing over Boundary Road, voters in Burnaby turfed Derek Corrigan, who had wasted over a MILLION dollars of taxpayers’ money fighting against the Trans Mountain Pipeline — something they did not have legal authority to block. I have to say that in recent years, any news story with him always seemed to portray an angry and cranky individual. He really will be now, I guess, after losing in his attempt at a sixth term in the mayor’s chair. Also sticking with Burnaby, determined Anti-SOGI 123 advocate Laura-Lynn Thompson, who called the materials ‘crazy teaching’, failed to gain a spot on the Burnaby School Board. She placed well back in the pack with the third fewest votes cast in her favour. Headed east, former BC Liberal cabinet Minister Peter Fassbender was defeated in his bid for elected office for a second time in under two years, losing the mayor’s race in Langley by just 206 votes. Prior to entering provincial politics in 2013, he had been mayor of Langley for eight years. Closer to home, current Thompson Nicola Regional District (TNRD) Chair, and long-time Mayor of Cache Creek, John Ranta, was defeated by Santo Talarico by just 26 votes. Here in Kamloops, incumbent City councilor Donovan Cavers also decided to take a run at being elected as a trustee for District 73. His bid for School Board, and re-election to City Council, both failed once the ballots were all counted. After serving a 12 years on Kamloops City council, beginning in 2005, Tina Lange did not seek re-election this year. On Sunday, the day after municipal elections were held throughout the province, I asked Tina about the process of running, and what it’s like. And for those who had let their names stand, “My thanks to everyone of you,” she said. In Kamloops we saw what I would call a pathetic 29 per cent of eligible voters take the time to do their civic duty and vote – how disappointing! Up in the Peace River country, I asked returning Ft. St. John councilor Trevor Bolin about voter turnout there. “The residents of B.C. have been very vocal about this for the last few years, and it’s time for the province to act on it. Its 2018, you can buy real estate, vehicles, groceries, book holidays and run entire million-dollar businesses from your iPhone, but you can’t vote?” Bolin concluded. Given low turnouts, he likely does have a point, and hopefully a system we can feel safe in being fool-proof can be developed soon. Sticking with the north country, Prince George had what must have been the province’s biggest landslide mayor’s race. There, Lyn Hall was re-elected with 91 per cent of the vote! On the opposite side of things are the squeakers. As previously mentioned, Al Siebring took the mayor’s chair in North Cowichan by just 10 votes, but that wasn’t the tightest race. Winner in that category was Peachland where incumbent Mayor Cindy Fortin was defeated by Harry Gough. The margin of victory for Gough? One single vote! Before wrapping things up today, I’m going to return to my own community of Kamloops. On Saturday, Caroline King took her second run at a seat on council, but missed making the eighth place cut-off. Those in our community will know Caroline as an individual who had been one of the strongest supporters of the failed Ajax Mine bid. 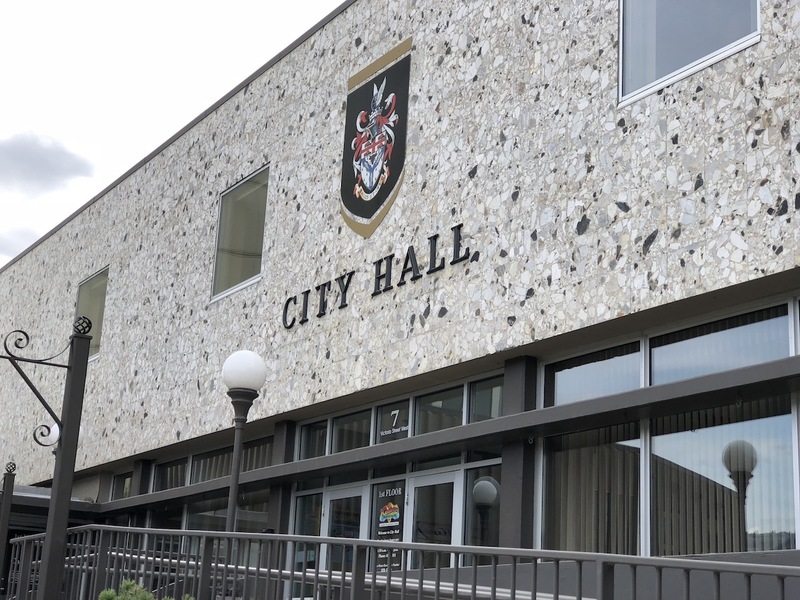 More recently, however, she and Dennis Giesbrecht (who also missed on his bid for council) had been involved in the needle buy-back program they initiated. I asked Caroline if perhaps being associated with Ajax, and the needle campaign, had hurt her. And speaking of Dennis, it sounds like a loss isn’t going to discourage him, either. “In politics, as in life, no defeat is permanent. No victory is everlasting. The battle is never over. And in this case, it’s just beginning,” he said. That’s a wrap for me, but before I go, let me say I am severely disappointed in how few people there were, right across the province, who took the time to vote. With very few exceptions, you had absolutely no excuse for shirking on your civic duty to be a part of our democratic system. Some of you were plain lazy … some would rather whine about things without taking any responsibility to change them … others say it won’t change anything. The rest? Hell, I don’t know why they didn’t take the few minutes required to vote … all I know is that it makes me extremely mad that they didn’t. In Kamloops, I’m Alan Forseth, and I hope you’ll join the discussion on this, or any other topic presented here. Do you agree … disagree? Post your thoughts in the Comment Section directly below. Sorry Pierre but there’s people with mega-credentials, and who work on this kind of stuff full-time, that are going to look into #1 to 3 which you mentioned. I may however at some point touch on any of them. Regardless, I have on numerous occasions, written on addictions, recovery, the need for mental health resources and much more on my own blog site more — I DO consider myself to have a strong social conscience. My sense is you don’t read far and wide enough Allan. I found three really good articles you should read Allan and they all have local implications. And if you can’t see the local implications let me know and we can discuss. Will you ever do a column on the money laundering at the casinos? And yes, I think Ajax sure was a bad idea for our city…too big, too close, with an irreversible negative environmental foot print, questionable economics and as we discovered the application data was pulled out of thin air. And the homeless, the drug addicted and the lack of mental health resources are not the result of a compassionate society. We also know a wealthier, more affluent society is a less compassionate one. 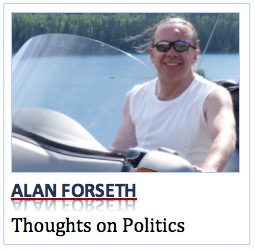 Back to you Alan Forseth.